LG Electronics (LG), a global leader and technology innovator in mobile communications, today announced a partnership with Twentieth Century Fox (Fox) to introduce the new LG Chocolate (LG BL40) phone in the Asia Pacific region with embedded content from James Cameron’s eagerly-awaited epic fantasy adventure Avatar. 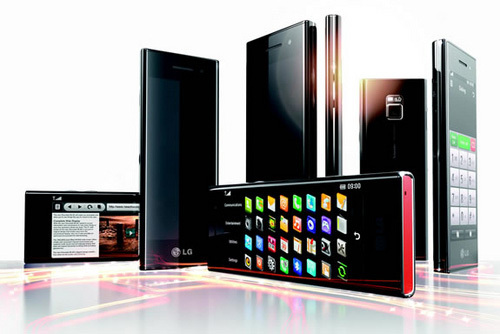 The new multimedia-friendly phone will mark its regional debut in Hong Kong on November 4th. One of this year’s most anticipated films, Avatar is the brainchild of one of today’s most visionary filmmakers, James Cameron. Avatar takes place on a distant world where a reluctant hero embarks on a journey of redemption and discovery as he leads a heroic battle to save a civilization. Consistent with Mr. Cameron’s previous movies, Avatar will showcase the most impressive graphics ever rendered on film, combining live action and real environments with CG-animated 3D characters to transform the cinema screen into a strange new world. The film is expected to set new standards in fantasy filmmaking. Similarly, having led a fundamental design shift with the original Chocolate phone, LG has again challenged conventional thinking and raised the bar with the disruptive styling of the new LG Chocolate. The unique 4-inch widescreen offers an innovative mobile experience with a cinema-like 21:9 ratio and crystal clear HD resolution, making it the perfect platform for watching the high-definition Avatar trailer. In addition to the exclusive content screening at the phone’s Asia launch, the collaboration also extends to Twentieth Century Fox and the new LG Chocolate’s participation in joint television and online marketing campaigns. The new LG Chocolate made its official debut in the U.K. in September and is currently available throughout Europe and the Middle East. It is schedule for worldwide release by the end of the year. Avatar premieres in theaters beginning on December 18th.